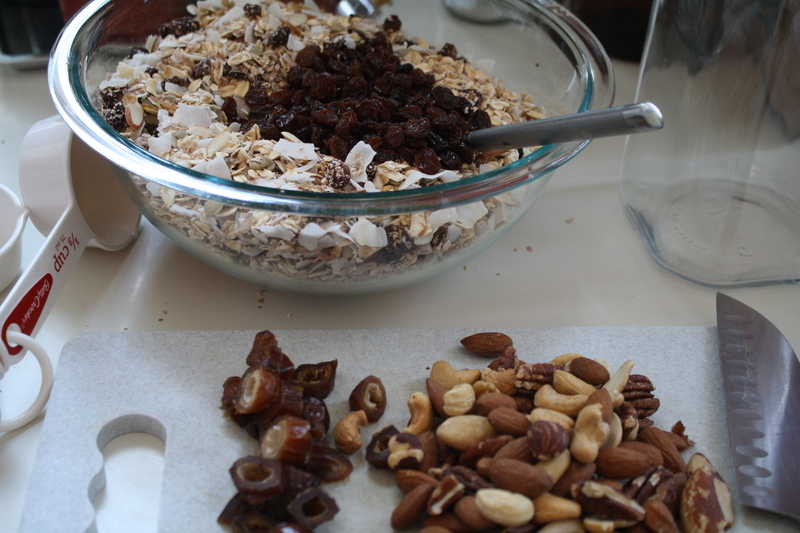 My sister passed on a recipe she and her housemates use to make up a batch of muesli each week, adapted from a Bill Granger concoction. It was exactly the kind of unnecessarily-time-consuming, convenience-be-damned project that appeals to my inner procrastinator. And unlike the granola I’ve posted here previously there’s no cooking involved, so it’s perfect for heat-shimmery days in sunny Brooklyn kitchens. In turn I’ve made a few tweaks. My batch ended up with about half the rolled oats called for, resulting in a decadently chunky but less economical mix. If you’re a fan of coconut, use the chunkiest you can find – I was initially worried by the size of the stuff I picked out, but it has ended up being my favourite part. I bought up all my supplies at Whole Foods – luckily I had plenty of time on my hands to measure out and price code all the different grains etc. 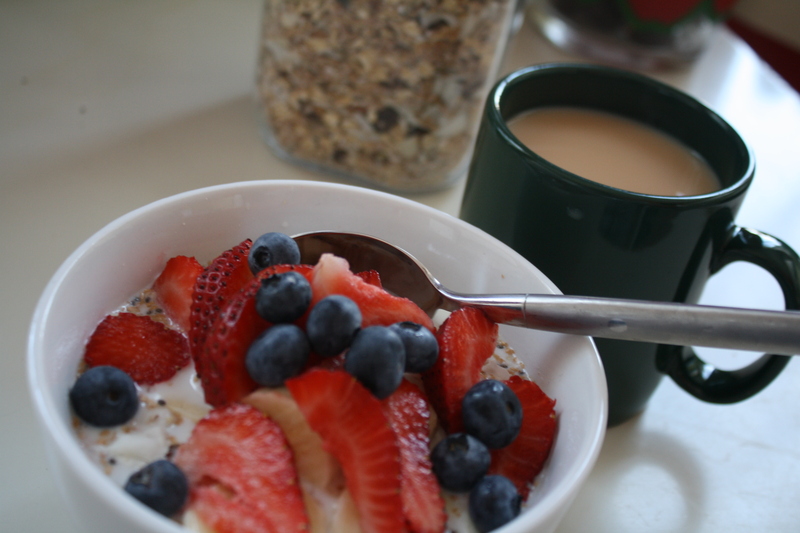 It cost me about $17 all up including the glass jar, so at first glance it’s cheaper to just buy a box of muesli! But I’m only halfway through my jar of muesli after nearly two weeks of pretty eager servings, so it doesn’t work out too badly.